I find, as I accumulate more unwanted birthdays, that I am starting to have a perspective about the harm that people and institutions do to each other that I did not formally have. As a younger man, I was an optimum combination of hot headedness and naiveté — I was absolutely sure that taking the fight to someone that had done wrong and shining the bright and objective light of knowledge on their person would be sufficient to get them to change their behavior. Now, though, I am just as sure that one cannot teach anyone anything. If someone consistently visits harm upon your person and upon others, my righteous indignation and instruction is likely not sufficient to get them to stop — evil is their chosen way, and one’s attempts to reform them will likely only make their behavior worse. So it is with that accumulated wisdom that I tell this tale. It is a tale of an organization that was presented with an opportunity — having wronged a customer — to do right and correct their mistake. And having been presented with that opportunity to right a wrong and do good, that organization tried to double down and re-screw said customer. There’s just one critical difference to my telling of the tale. Since nothing I do will make them change, and revenge is not my motive, I will decline to name the offender. I have no desire to make the animosity (who knows, maybe its indifference — maybe they just treat everyone equally badly) that apparently exists between us worse, and since what is published on the Internet exists — like some visions of the Deity — ubiquitously and eternally, I will choose here to rise above the fray and concentrate on the story, rather than condemnation of the guilty. 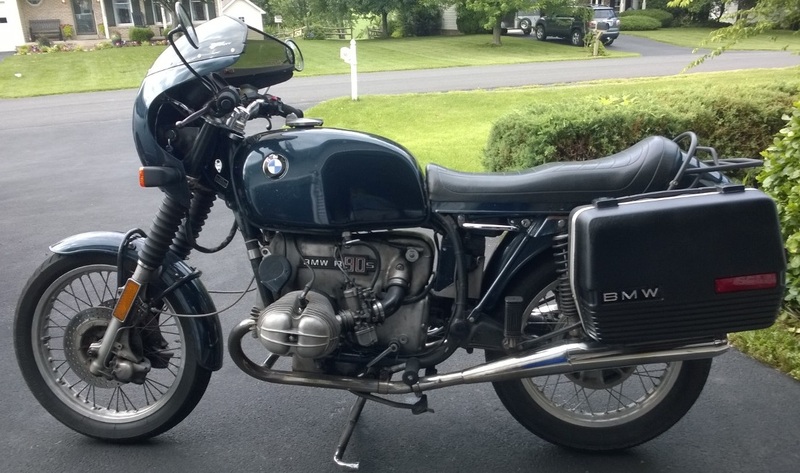 Back in 2014, I had decided to complete a mechanical refurbishment of my 1975 BMW R90S. This activity, which should be understood as something discretely different from ‘a restoration’, was just an attempt to correct some deferred maintenance issues, perform some functional improvements, and render the motorcycle suitable for everyday rider duty getting back and forth to my job – which required me to commute about half the time to a location in Reston, Virginia. Now I had a completely reliable motorcycle — my K1200LT — but traffic conditions were necessitating combat commuting tactics. 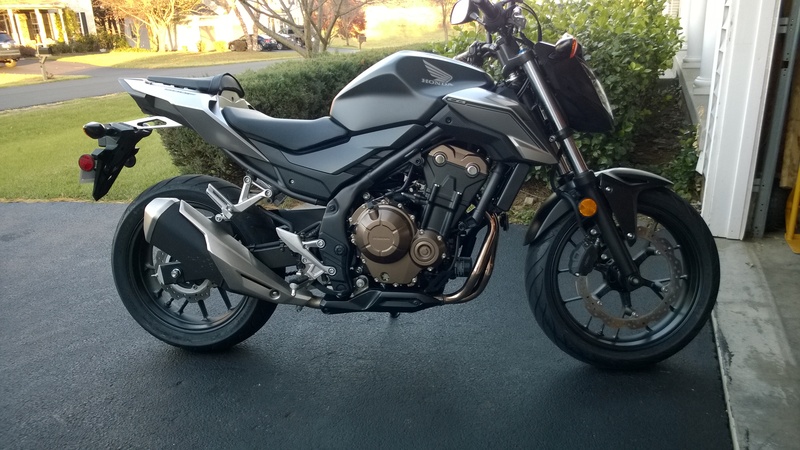 On any given day, I might be lane splitting, running shoulders, or even running a secret, sub-rosa dirt road to get home from Northern Virginia, and under those conditions, I was willing to surrender a little comfort and mechanical robustness to make use of a motorcycle which weighed nearly 400 lbs less than the LT. So many wrenches were twisted and more than a few dollars were spent. A completely new gearbox was assembled to correct the manifold failings of the leftover 1974-specification gearbox with which my early 1975 model motorcycle was originally assembled. I replaced the rusted out seat pan and failing saddle with an artisanal fiberglass pan and saddle combination made by FlatRacer of London, UK. I replaced lots of worn rubber bits, and refurbished a set of 1980s vintage BMW Touring Cases — aerosol Pickup Truck Bed Liner Paint is your friend — so that they looked better than new. I even obtained a Dark Smoke Zero Gravity windscreen and sourced the inner fairing headlight sealing gasket my bike had never had. Overall, what had been a tired and ratty looking motorcycle was now looking and riding sharp. Sharp, except for one niggling detail. The Previous Owner — that shady character always guilty of manifold motorcyclic sins — had repainted my R90S. 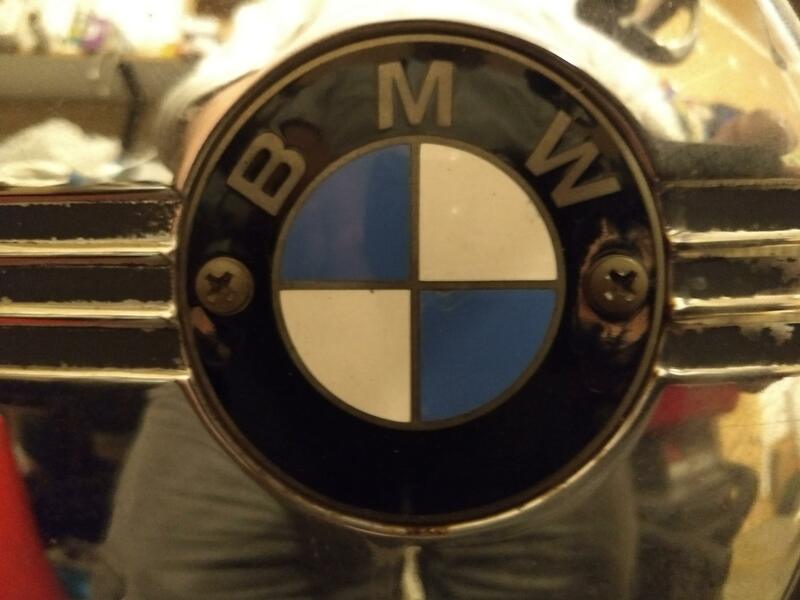 When this was done, the PO had added insult to injury by buying and installing a set of 1980s vintage BMW Tank badges — which at the time, were cost cutting adhesive jobbies printed on an aluminum substrate and then sealed with a clear vinyl overlay. The injury part being important here because most R90Ss were built with high quality, cloisonné enamelled badges that were likely to outlast the motorcycle and show up looking new when they were discovered by archeologists centuries later. The replacements were cheap, they looked bad, and after somewhere more than 25 years in situ, mine looked roasted. I figured if I could locate a set of original specification badges or reasonable quality reproductions — I was never intending to show this motorcycle — then the bike would have a little piece of jewelry that might allow it to feel better about itself. So, to the Internet I went, looking to see what was available. BMW, to their infinite credit, still had the original specification cloisonné badges in stock, although they were priced at bit higher – at about $50 a side — than I would have preferred to pay. An enthusiast dealer with whom I had a long-standing relationship, though, had what appeared to be quality reproductions on their website. 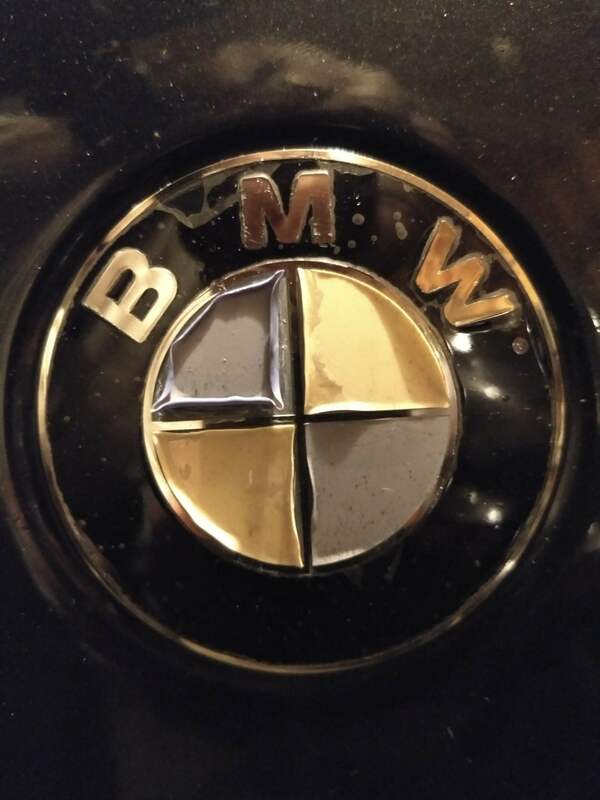 These BMW roundels are a classy upgrade to the standard stick-on ones found on most models. They are ceramic and metal, a process called cloisonné enamel on a nickel-silver substrate. Emblems like these were an original feature on one model only, the R90S (1974-’76). Now, with these replicas, your bike can have a bit of that legendary panache too. At a tick over $20 a side, these were perfect — premium appearance at a rationalizable price. I ordered a pair. After removing the old ones with dental floss and using 3M doublesided tape to mount the new ones, the old girl was definitely holding her head up. And so it went until my recent teardrop camper construction project. With the entire space within my garage consumed by materials and the trailer, all three of my motorcycles spent about 4 months being stored outside, with mostly benign results. As the project wrapped up, I moved everything back inside, but noticed something unexpected and disappointing. On the side of my R90 that was pointed toward the sun, the supposedly cloisonné badge had essentially turned to crap. The ‘better’ side, upon reflection, didn’t look that great either. Fortunately, any doubts I had about this being somehow a predictable result of weather exposure were quickly dispelled when I compared those former badges to the factory badges on my 1973 R75/5, which does have real cloisonné badges, and despite having been treated with no care whatsoever for the past 45 years, including having spent the exact same last 4 months outside, looked a tad patinaed, but otherwise none the worse for wear. Since I had all of the documentation on the buy, I sent a picture of the melted badge back to the dealer where they’d been purchased. My communication was pretty straightforward. Whatever these badges were made out of, they were not the cloisonné they were represented to be. Melted Glass doesn’t remelt in the rain at 90 degrees f.
I asked for them to stand behind their product. If they thought it was just a fluke with this batch, they could just replace them. If they thought this might happen again, they should sell me a set of OEM badges with a credit applied for these. I quickly got a response indicating they thought I’d be better served with some OEM badges, which they offered to me at a price of $68. They asked if that would work for me. I quick check of my other online parts sources indicated that BMW’s MSRP for the part was $49 – a number that looked suspiciously like the difference between the quoted price and the amount of the credit they expected to have to issue on the transaction. In short, they had marked up the part so that after issuing the ‘credit’, I’d still be paying full price. I responded to their offer with a single word – “No.” No context. No explanation, just “No”. Five minutes later I got another e-mail, stating that they’d “checked their part numbers” and some song and dance about the part number being cross referenced, and an offer to provide the part for $49. Shame on me, but after seeing the white flash for several minutes, I thought it better not to respond. The proprietor of this business has, on occasion, directly questioned me as to why they don’t see so much of me any more. Riding motorcycles – on almost every level – involves trust. Trust in one’s skills. Trust in one’s gear. Trust in your machinery. Trust in the people who provide parts and services that keep your bike operating properly. And in the case of this one dealer, there was just no trust any more. At a certain point, it became more important to separate me from as much money as possible from each transaction, with no regard to the quality of what was sold, or the quality of the service that was provided, or any concern whatsoever for the value I obtained. If I had issues with something they sold, rather than view it as an opportunity to make things right, they regarded it as an opportunity to double down and charge me again. I don’t want anyone like this having anything to do with my motorcycles — these machines on which my life depends. You might. But count me out.